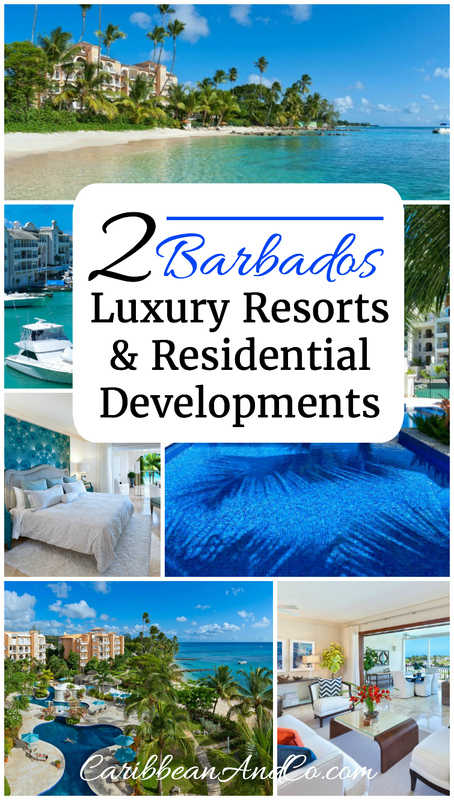 2 Barbados Luxury Resorts & Residential Developments - Caribbean & Co.
Barbados continues to be a popular destination for ultra high net worth individuals looking to purchase a second home in the Caribbean. In a recent report published by Wealth-X a global wealth intelligence firm, Barbados was the 4th most popular Caribbean destinations with 66 of the 1,155 ultra high net worth individuals in the region. Barbados is not just attractive to these super-rich individuals who all have minimum assets of US$30million, but an increasing number of American and European middle-class families looking to purchase a second home in the Caribbean. 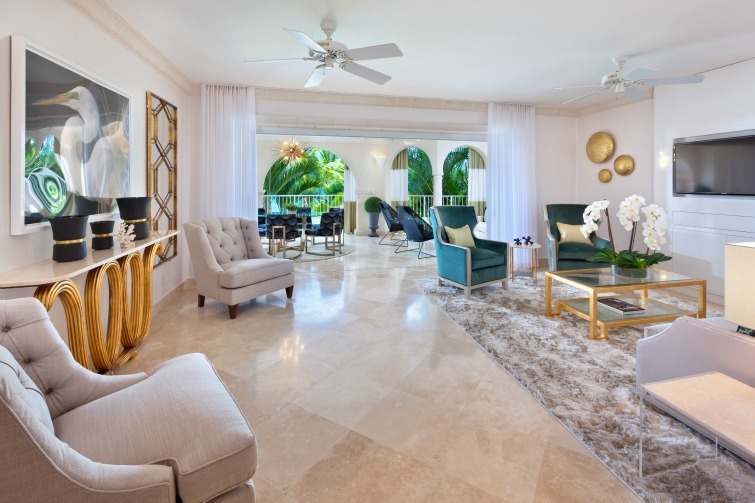 Two residential developments in Barbados looking to attract both ultra high net worth individuals and middle-class families are Port Ferdinand Marina and Luxury Resort and Saint Peter’s Bay Luxury Resort & Residences featured below. Both developed by UNNA Luxury Resorts & Residences offer self-contained homes with the luxury touches you’d expect from a five-star beach resort. They have a wide range of onsite amenities and are in close proximity to lots of outdoor activities (snorkeling, diving, turtle watching, hiking/biking trails, etc.) and sporting activities (golf, cricket, football, horse racing, etc.). Major attractions and fine dining restaurants are onsite or nearby. 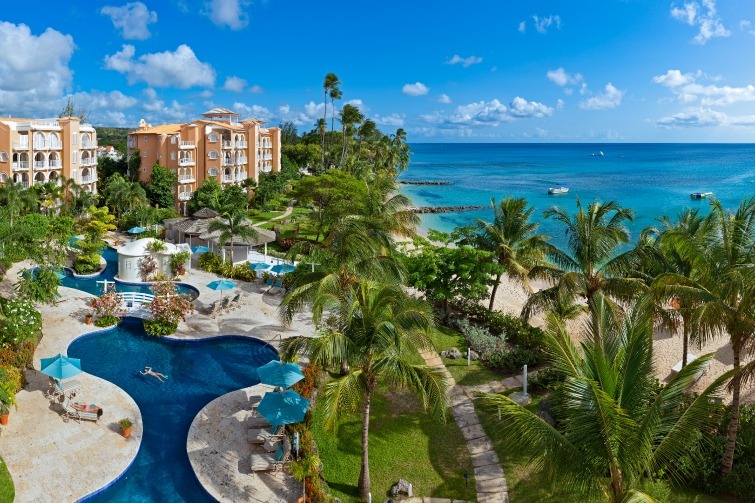 For families who want to remain in Barbados year round, Port Ferdinand Marina and Luxury Resort has a number of programs and clubs just for children. Also, they are in close proximity to a number of elite public and private schools (St Gabriels, St Winifred’s and St Alexander) popular with expats and local residents. Development: A 16-acre exclusive residential marina community, located just north of Port St Charles on the Barbados Riviera. The first phase consists of 32 homes and include private yacht berths up to 60ft yacht. The overall scheme will create a total of 82 designer homes, plus 120 berths for yachts up to 90ft in length. 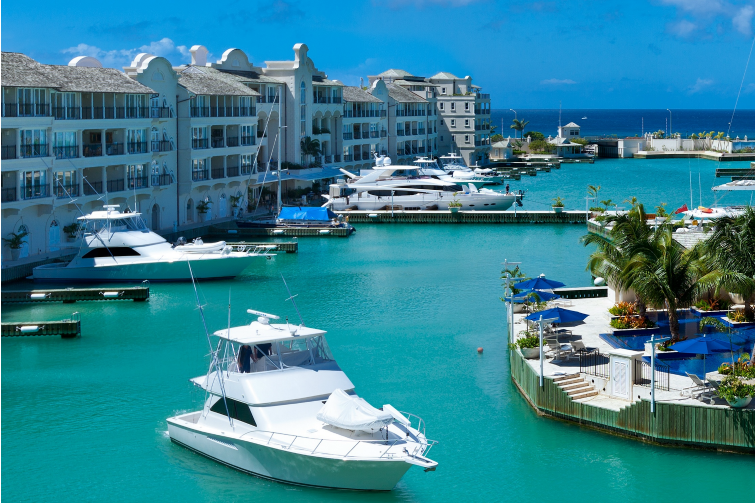 Status: Port Ferdinand has been open for nine months and since then they have sold around 15% of the currently available inventory of homes. Homes/Bedrooms: From two bedroom marina view homes to four bedroom deluxe sea view penthouses. Floor Area: From 2,500 square feet to 6,100 square feet. Amenities: Business Center, Pool Island Bar, 13°/59° Restaurant, Golf Simulator, Kids Club, Sandbox Tree Spa, Health & Fitness Centre and Direct access to Six Men’s Beach. Price: From US$2.15million for a two bedroom marina view residence to US$6.5million for a four bedroom ocean and marina view penthouse. Port Ferdinand Marina and Luxury Resort: Pool Island. Photo: © UNNA Luxury Resorts & Residences. Port Ferdinand Marina and Luxury Resort: Open Plan Living & Terrace Dining. Photo: © UNNA Luxury Resorts & Residences. Port Ferdinand Marina and Luxury Resort: Marina. Photo: © UNNA Luxury Resorts & Residences. Development: This resort is located in a unique setting on Barbados’s north-west coast and consists of 57 luxury beach front residences with ocean views and terraces with private spa tubs. Status: Saint Peter’s Bay has been open for five years and since then approximately 40% of the inventory has been sold. Homes/Bedrooms: 3 & 4 Bedroom Beachfront Homes, Penthouses, and Deluxe Penthouses. Floor Area: 2,700 square feet to 6,350 square feet. Amenities: 160 Ft Lagoon Style Pool, Gazebo Bar, Fitness Center, Yoga & Pilates Studio, Beauty Salon and Beach. Price: From US$1.9million for a three-bedroom residence rising to US$7.75million for a deluxe four bedroom apartment with roof deck and pool. 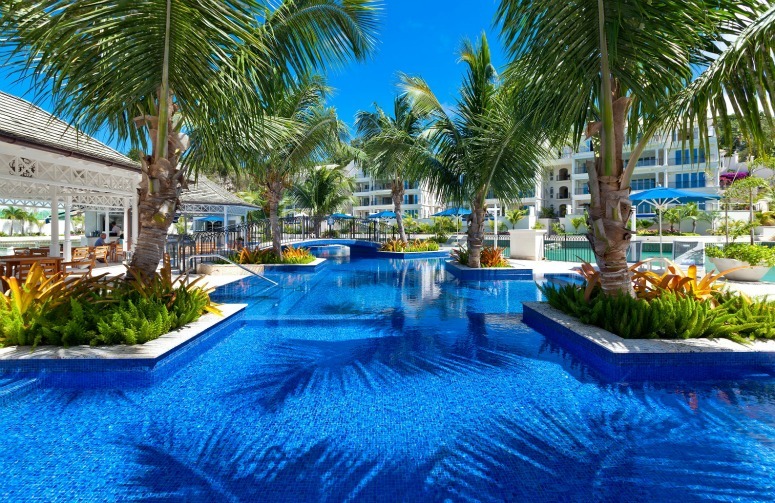 Saint Peter’s Bay Luxury Resort & Residences: Pool and Beach with Southern Views. Photo: © UNNA Luxury Resorts & Residences. Saint Peter’s Bay Luxury Resort & Residences: Beachfront Home – Oceanview Master Bedroom. Photo: © UNNA Luxury Resorts & Residences. 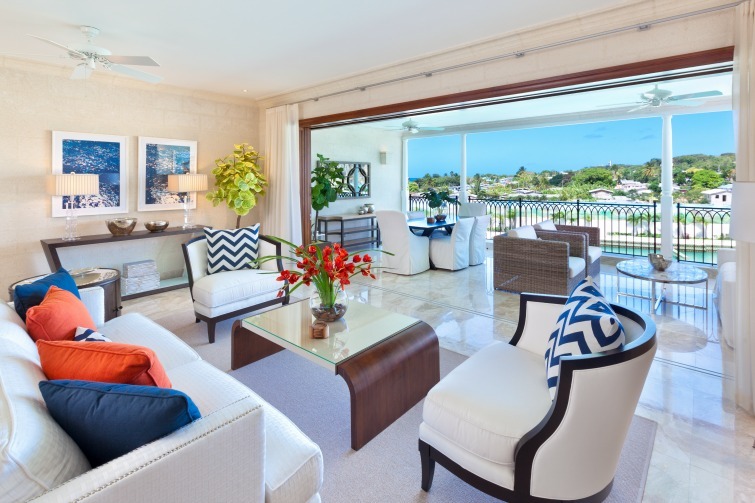 Saint Peter’s Bay Luxury Resort & Residences: Beachfront Home – Spacious Living Area Extends On To The Oceanfront Terrace. Photo: © UNNA Luxury Resorts & Residences. For more information about the developments, view the websites for Port Ferdinand Marina and Luxury Resort and Saint Peter’s Bay Luxury Resort & Residences or make phone contact via +1 246-272-2002.